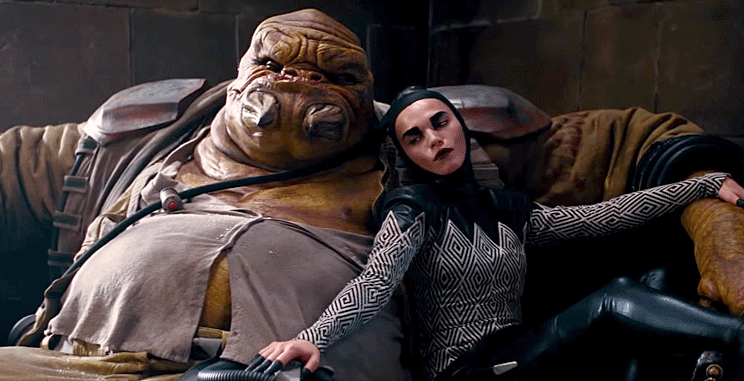 Okay, admit it; You've got Jabba Flow stuck in your head now. I know I do! Bravo to Abrams and Miranda for creating yet another memorable Cantina tune for the Star Wars universe. in anyccase, I can't remember that song all too well, but it sounded like someone gave cheech the microphone during karaoke night.